David Ortiz is a Major League Baseball and Boston Red Sox player. 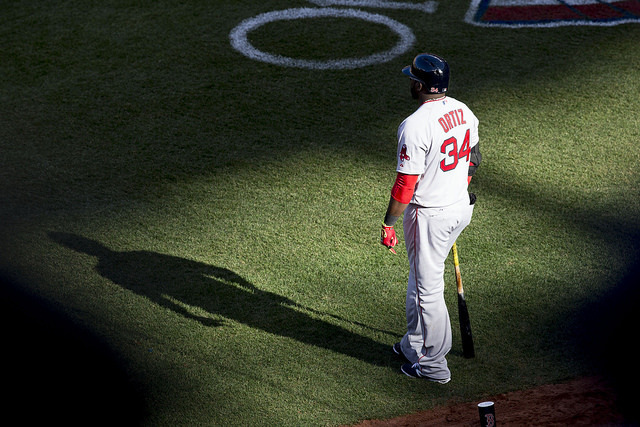 Known as “Big Papi,” in the Boston clubhouse, Ortiz is a five-time All-Star and holds the Red Sox single-season record for home runs with 54, set during the 2006 season. David Americo Ortiz Arias was born on November 18, 1975 in Santo Domingo, Dominican Republic to parents Enrique and Angela Rosa. He had four younger siblings and was known as the person to bring calm to the family. Ortiz’s father played baseball in Dominican leagues and seemed to pass his baseball zeal to his son.